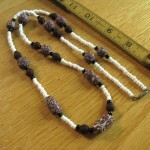 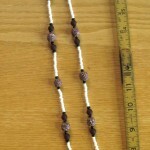 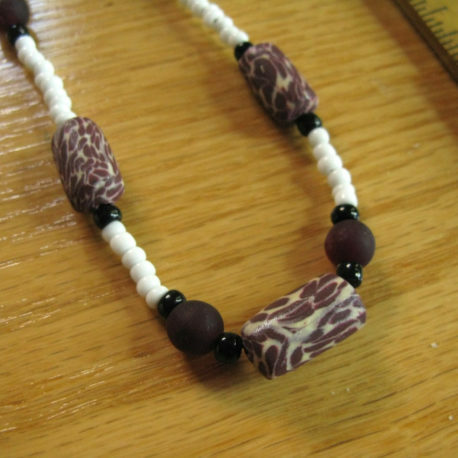 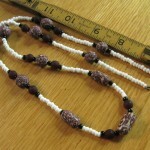 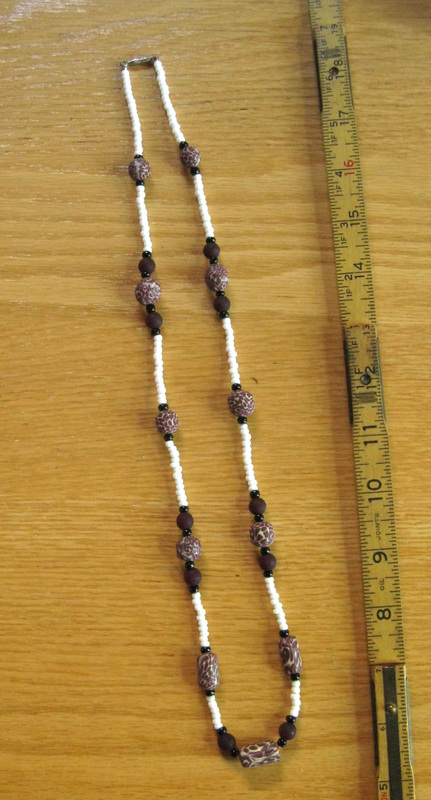 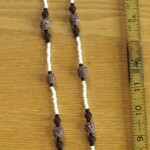 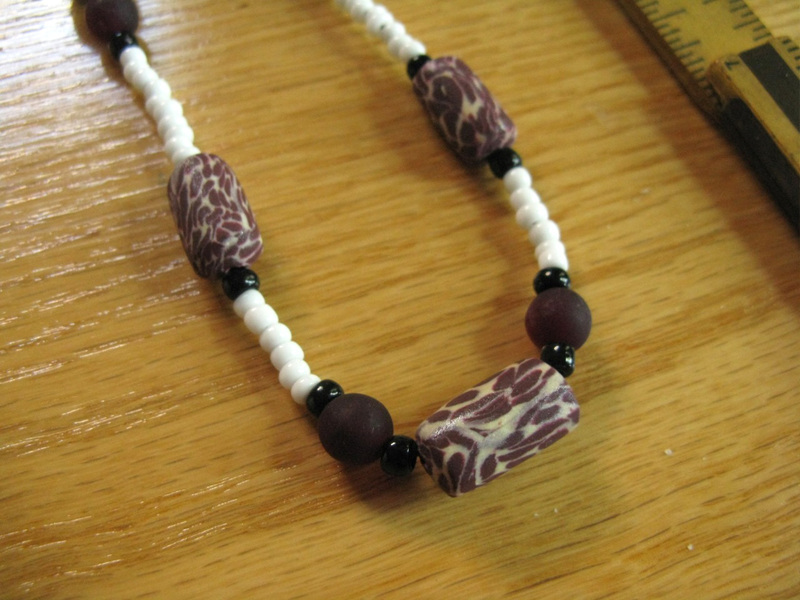 The focal beads in this necklace are made from polymer clay speckled in maroon and cream. 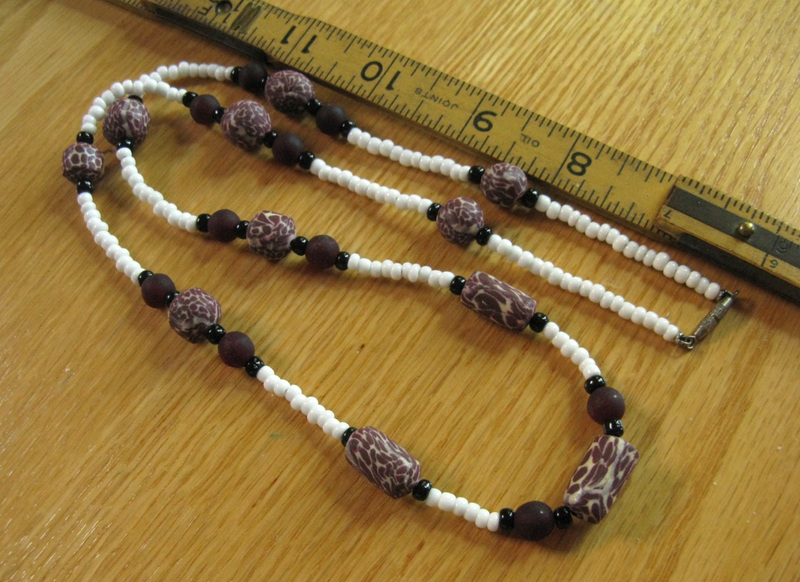 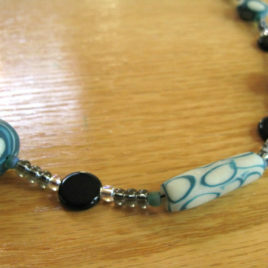 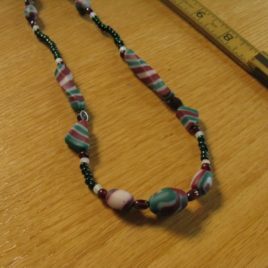 The polymer clay beads in this necklace are accented with glass beads in white, black, and frosted dark red. 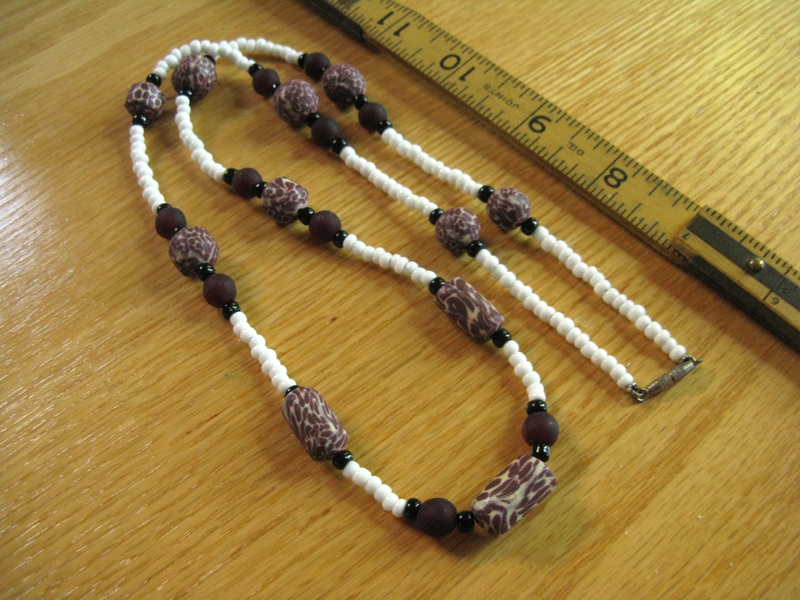 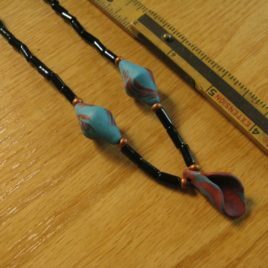 This necklace is approximately 27″ long. 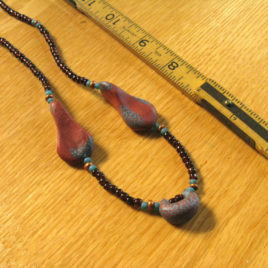 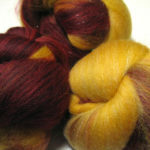 The Maroon & Cream earrings would coordinate nicely with this necklace.